We’re a family-run, independent estate agent who are passionate about helping people buy and sell country property in Central and South West England. We are a driven team who are extremely experienced and professional but at the same time very down to earth and approachable. We specialise in the sale of country and village property, smallholdings, equestrian property, tourism and leisure properties, commercial and land and new homes. 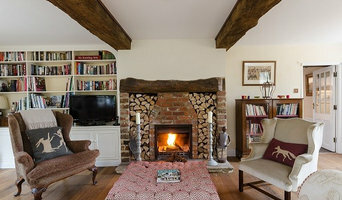 Acorns Lettings and Property Management is an independant lettings agency dealing with all aspects of the residential property rentals market in and around Lockeridge,Aldbourne,Marlborough and surrounding wiltshire villages. Chartered surveyors and commercial property agents. Inspired by demand for a more rural lifestyle, I founded my own property search consultancy to advise purchasers where to buy their country home. In such a competitive market, with little supply, I act for no more than two clients at a time to ensure my clients receive a focused and dedicated service, advising the best areas to buy, considering requirements and budget. A family run independent New Forest Estate Agents in Ringwood. Specialising in the sale of character homes across the New Forest and in both Hampshire and Dorset. Romans have been based in Bracknell for over 30 years a have fantastic knowledge of the local area. With expert agents in both the sales and lettings department you will always be in safe hands whether you are looking to buy, sell or let your home. Romans Estate Agents don't just stop at sales and lettings they have mortgage advisors, conveyancing, surveyors, auctions and new homes. Start your property journey with Romans. with 35 Years of experience, Guy Charrison FRICS FNAVA (Hons) FNAEA FARLA FRSA is a highly experience Chartered Surveyor, Auctioneer and Property Professional. Guy is a specialist in life tenancy investments. Hiring a professional Itchen Abbas, Hampshire estate or letting agent really is essential in the modern housing market, so it’s important you find the right one for your move. Good Itchen Abbas, Hampshire estate agents will be trained to handle all the regulations, laws and standards relating to buying, selling and letting properties in your area and the UK, and even better letting agents and property agents will be able to advise you on location, price and ways of improving property value if you’re selling. How do I choose an Itchen Abbas, Hampshire letting agents or estate agents? For many people, the estate agent or letting agent they end up using depends on the best properties they can find on property agents’ search engines online. But if you’re searching for a particular style of property in a particular area, then it’s a great idea to try to find a local Itchen Abbas, Hampshire estate agents that specialises in that style and area, and then they’ll be able to handle the search for you. If you are selling your house, it may be harder to work out which agent you should use. That’s why we’ve made it easier to compare each company on Houzz. We list Itchen Abbas, Hampshire estate agents that work exclusively with architect- and interior-designed properties, so if you’ve been hard at work redesigning your home to improve its value, you can find the property agents that will do it justice. There will even be Itchen Abbas, Hampshire property agents and companies that offer home staging and professional interiors photography, or work in partnership with other professionals that offer this, to show off your home to potential buyers. There are also some Itchen Abbas, Hampshire letting agents that will help you to get the best price for your property if you plan to rent it out, by helping you create an appealing home that can be adapted, but not majorly altered, to your tenants needs. Of if you just need a traditional estate, letting or property management agency in Itchen Abbas that will sell your house for the best price, you’ll find plenty here too. Find Itchen Abbas, Hampshire estate agents, property agents or letting agents on Houzz. Narrow your search in the Professionals section of the website to Itchen Abbas, Hampshire estate agent or letting agent. If you’re in the market to rent, buy or sell a home, you may be interested in hiring other professionals as well. Here are some related professionals and vendors to complement the work of estate agents: Home Stagers, Photographers.